In 1970, another Soviet defector, Yuri Bezmenov, a well renowned media/propaganda expert defected to the United States, and subsequently exposed the KGB’s “ideological subversion” tactics against American society. Bezmenov conducted a number of interviews in which he explains how Marxist ideology is deconstructing America’s values by controlling the media resulting in the Russian doctrine of the demoralization the country. Bezemenov stated that this would ultimately destabilize the economy. How about 101 million Americans on welfare by the year 2013? I would say that this would count as destabilization. Stanislav Lunev, the highest ranking Soviet official to defect to the United States. Soviet defector, Colonel Stanislav Lunev, has the distinction of being the highest ranking Russian military officer to defect from to the United States after doing so in 1992, after Boris Yeltsin came to power. Lunev’s information was considered to be so volatile, but accurate, that the CIA, DIA, FBI, NSA placed Lunev, where he remains to this day, in the FBI’s Witness Protection Program. 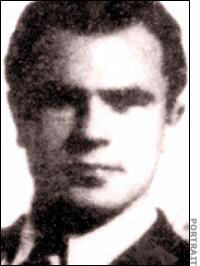 Since his defection, Lunev has served as a special agent to the FBI, CIA as well as many large corporations. Lunev is best known for revealing the missing 100+ missing suitcase nuclear bombs and the threat they would pose to the United States if they were to be smuggled across the Mexican border. According to Golitsyn, after the United States military is eliminated as a strategic threat to Russia, the long-range strategic Russian plan is to pursue Lenin’s goal of replacing nation states with collectivist model of regional governments as a stepping stone to global governance. Isn’t that exactly what we see with the European Union, the North American Union and the emerging African Union? In order to achieve their final goal, Golitsyn stated that Russia, after lulling America to sleep, will join with China in order to attack the United States from both the outside and inside as he detailed that “In each of these the scissors strategy will play its part; probably, as the final stroke, the scissors blades will close. The element of apparent duality in Soviet and Chinese policies will disappear. The hitherto concealed coordination between them will become visible and predominant. The Soviets and the Chinese will be officially reconciled. Thus the scissors strategy will develop logically into the strategy of one clenched fist to provide the foundation and driving force of a world communist federation…before long, the communist strategists might be persuaded that the balance had swung irreversibly in their favor. In that event they might well decide on a Sino-Soviet ‘reconciliation.’ The scissors strategy would give way to the strategy of “one clenched fist.” The enemies now are gathered from within. At that point. the shift in the political and military balance will be plain for all to see. This is includes the compromising of key American politicians who will be used to further the communist takeover agenda. President Obama’s family and former Ex-Goldman Sachs executive, Ex-Treasury Secretary and World Bank leader,Tim Geithner and his family have been joined together at the hip for decades. Tim Geithner’s father worked for the CIA in the Rockefeller funded Ford Foundation in Asia. Geitner’s father was in charge of micro-finance for the Ford Foundation for all of Asia. From Wayne Madsen’s work, we know that President Obama’s mother was in charge of micro-finance in Indonesia. The Hollywood producers could not make this plot up. Geithner’s father was Obama’s mother’s boss. It is likely that Geithner’s father tagged Obama as a potential presidential CIA Ford Foundation, well-groomed Manchurian candidate. 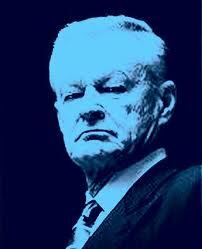 Obama was enrolled in a Soviet studies program taught by Zbigniew Brzezinski. And to those who are new to NWO conspiracies, one might wonder who is Brzezinski? Brzezinski was the former National Security Adviser under President Carter. But more importantly, he was also the co-founder of one of the most influential globalist organizations in all of history, the Trilateral Commission. If you know your New World Order history, you have chills going up and down your spine as you read these words. We should be mindful that Brzezinski, in his book, Between Two Ages: America’s Role in the Technetronic Era (1970), that he laid out the NWO conspiracy to control all nation states and usher in a totalitarian world government. .
Obama’s real father, Frank Marshall Davis, was a member of the Communist Party and a former Soviet Agentwho was under FBI investigation for a total of 19 years. In 1948, Davis moved from Chicago to Hawaii leaving behind a colleague named Vernon Jarrett, father-in-law of Senior White House adviser, Valerie Jarrett. Yes, the Jarrett’s are communists as well. Both Jarrett and Davis wrote for a left wing newspaper called the Chicago Defender in which they espoused a communist takeover of the United States Government. In 1971, Davis, according to Joel Gilbert, reunited with his then nine-year-old son, Barack Obama, and schooled him in the ways of being a good communist for the next nine years. Adding more fuel to this communist fire, it is interesting to note that both Senior White House Advisers, David Axelrod and Valerie Jarrett were both also “Red Diaper Babies, in which they were the sons and daughters of well-to-do parents who desired communism and lived out their dreams through their children’s revolutionary activities. Other notable red-diaper babies also include such notables as Rahm Emanueland Eric Holder. Jarrett’s situation is particularly interesting in that her family and the Ayers family have been multi-generational friends which also included a marriage between the two families. Much of the Obama administration is a nest of well-established communists and this should serve to gravely concern every American citizen. Grathwohl also revealed that he asked Ayers, in a meeting of about 25 well-to do Weatherman, most with advanced degrees from Ivy League Universities, what the Weathermen planned to do when they achieved their goal of a communist take over the government. Grathwohl stated that Ayers paused for a moment and then said that it was likely that about 50 million Americans will have to be re-educated in concentration camps located in the American Southwest and that about 25 million would have to be eliminated, meaning that they would have to be murdered. Bill and Bernardine’s Weather Underground had the support of Cuba, East German intelligence and the North Vietnamese. I believe that Obama could end up being the fulfillment of the Ayers “re-education prediction, and with the power granted to Obama by the NDAA, that he will fulfill Ayers’ promise to Grathwohl to murder 25 million Americans who cannot be “re-educated”. Ayers and Dohrn raised a foster son, Chesa Boudin, who worked for the late Hugo Chavez, communist dictator in charge of Venezuela. Chesa Boudin was the child of Kathy Boudin and David Gilbert, members of a Weather Underground spin-off group who went to prison for an armored car robbery that resulted in the murders of two police officers and a security guard. Dohrn served seven months for her role in the robbery and this is the reason that she is ineligible to become bar certified as an attorney. Is anyone else uncomfortable with the fact thatAyers and Dohrn were the ones primarily responsible for educating Obama with the communist funds and then subsequently launched his political career from their living room? Well, it is true, please read on. The problem with Conspiracy Theorists is that they create the theory after the fact, or they select facts to suit their theory. For example, if Obama (like Clinton) had decreased the U.S. Wealth Gap by increasing taxes on the wealthy the Conspiracy Theorists would have called him "Communist" for destroying the Capitalist Ethos. Now that the Wealth Gap has increased under his tenure, and the U.S. is flirting with bankruptcy, he is accused of consciously and purposely destroying the country from within. If "Destruction of the Nation" is the yardstick by which to measure Communists, then Ronald Reagan was the Communist Par Excellence for having introduced Supply Side Economics, enriched the already rich (his own OMB Director was fired for admitting it was "Trickle-Down Economics"), massively boosted the Wealth Gap, raised the National Debt to unprecedented levels and destroyed U.S. Manufacturing (Main Street) in favour of "Easy Money" (Wall Street). P.S., I don't like Obama, so I don't have any axe to grind by defending him against these particular accusations. The problem is that his Presidency has been so weak that it is relatively easy to construct conspiracy theories in explanation for such weakness. The truth is that Bush bankrupted America and so crippled the Presidency for no matter whom took over. It looks like it's going to take decades for America to recovery from the Bush catastrophe. 25 Sep 13, 17:17 There is no plan! Whilst Iam quite prepared to believe Obama amd his early mentors were Marxists I too reject these elaborate theories. I really do not think they have a plan beyond growing government at every opportunity, riding the gravy train for all it is worth and firefighting every crisis on a day to day basis. There is no grand plan. Politicians really are idiots. This article is so way off. 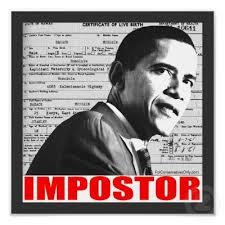 Obama is a tool of the money masters, not some communist shadow force. The simple fact that there have been no Wall St prosecutions proves that. William Black had over 1000 successful felony convictions during the Savings & Loan debacle, so it can be done if there is a will to do so.